Bowman set up a clear lead on Day 1 of The Championships with wins on Noble Boy in the Newhaven Park Country Championships Final and Microphone in the ATC Sires’ Produce. 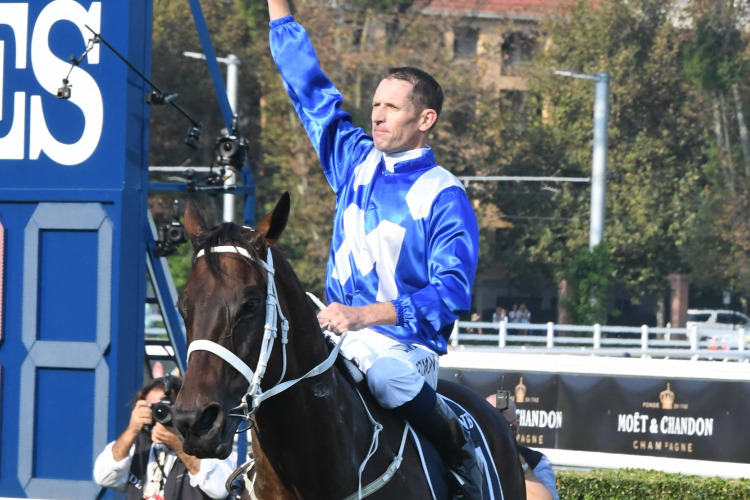 The 38-year-old sealed his Medal win aboard Winx when she powered away with Saturday’s Longines Queen Elizabeth Stakes in her farewell race appearance. Bowman finished with 13 points over the two days of The Championships to win the Nathan Berry Medal, honouring the former leading jockey who died five years ago at the age of 23 five years after contracting a fatal illness. James McDonald finished second with nine points. The Nathan Berry Medal point score is determined on a 3-2-1 basis across the 10 Group races of The Championships as well as the Finals of the Country and Provincial Championships. A suspension soured the big day for Bowman after he was outed for one week for causing interference in the first race on the Randwick program.